A collection of newspaper stories by award-winning Los Angeles Times reporter Christopher Goffard-including "Dirty John," the basis for the hit podcast and the upcoming Bravo scripted series starring Connie Britton and Eric Bana. Since its release in fall 2017, the "Dirty John" podcast-about a conman who terrorizes a Southern California family-has been downloaded more than 20 million times, and will soon premiere as a scripted drama on Bravo starring Connie Britton and Eric Bana. The story, which also ran as a print series in the Los Angeles Times, wasn't unfamiliar terrain to its writer, Christopher Goffard. Over two decades at newspapers from Florida to California, Goffard has reported probingly on the shadowy, unseen corners of society. 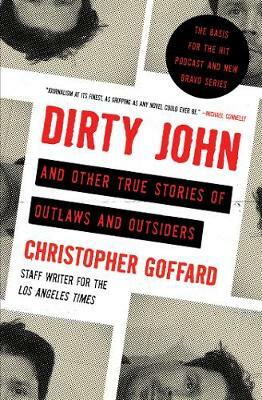 This book gathers together for the first time "Dirty John" and the rest of his very best work. Goffard shared in the Los Angeles Times' Pulitzer Prize for Public Service in 2011 and has twice been a Pulitzer finalist for feature writing. This collection-a must-read for fans of both true-crime and first-rate narrative nonfiction-underscores his reputation as one of today's most original journalistic voices.